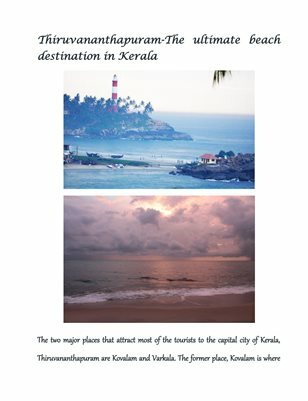 Kerala is one of the best holiday destinations in India. 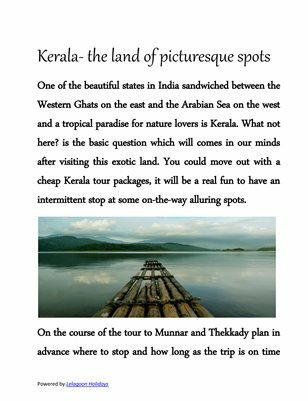 Lelagoon holidays is a Kerala based travel agency which is lead by a team of highly experienced professionals. We provide you with the ideal deals and offers on exclusive packages. We have a wide range of packages that you can select from according to your budget. 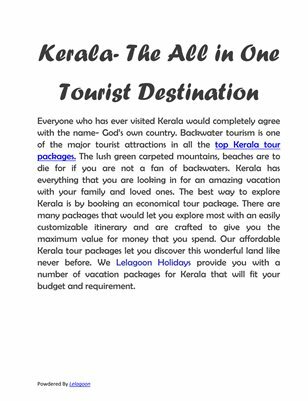 And we mainly focuses on customer satisfaction and so we opt for finest hotels and resort etc.